Stefan K. McBride is an Arkansas family lawyer and joined Wilson and Haubert, PLLC in 2013 to complement its long-established estate-planning practice. With the addition of Stefan and his experience as an Arkansas family lawyer, Wilson & Haubert can now boast that it offers a truly comprehensive approach to protecting what matters—both financial and personal. His family-law practice centers around the areas of adoption, child custody, child support, divorce, and guardianship. 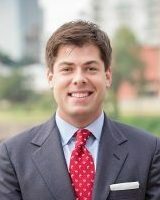 Stefan graduated from the Bowen School of Law in Little Rock, Arkansas, where he served as Associate Notes Editor of the UALR Law Review and President of the Christian Legal Society. He was also one of the founding members of the Arkansas Journal of Social Change and Public Service and received two top-paper awards. Before moving to Little Rock, Stefan graduated with a Master’s of Divinity (M.Div.) from Southern Seminary and served as a church planter. He lives with his wonderful wife Carman in the charming Kingwood section of Little Rock. She teaches in the Little Rock School District. Wilson & Haubert, PLLC is based in North Little Rock, Arkansas and practices in estate planning and probate, business law, elder law, family law, bankruptcy, appeals, civil disputes, criminal defense, and gun trusts. We currently serve the following cities and their surrounding areas: Batesville, Benton, Bryant, Cabot, Conway, Clarksville, Jonesboro, Russellville, Searcy, Little Rock and North Little Rock.